To the extent permissible by law, Tasteee Catering Services assumes no responsibility for information published on this site and disclaims all liability in respect of such information. Tasteee Catering Services is not liable for any injury and/or damage to persons or property as a result of any actual or alleged libellous statements, infringements of intellectual property or privacy rights, or product liability, whether resulting from negligence or otherwise, including without limitation, from any use or operation of any ideas, instructions, procedures, products or methods contained in the material published on the site. 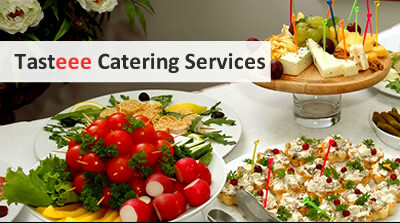 Tasteee Catering Services does not warrant that the information published on the site is accurate or free from error. Information published within the site is intended solely for the purpose of providing general information. Although every attempt has been made to supply accurate information, errors and omissions may occur. 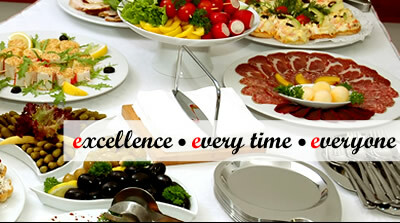 Tasteee Catering Services do not accept any liability for any loss or damage which may directly or indirectly result from any advice, opinion, information, representation or omission, whether negligent or otherwise, contained on this site. Further more Tasteee Catering Services do not accept any liability to any party for any damages caused by viruses, worms, Trojan horses or other items of a destructive nature. The sites linked to from this site are not under the control of Tasteee Catering Services. Tasteee Catering Services do not accept any liability for any loss or damage which may directly or indirectly result from following any of the links contained within this site. You can control your acceptance of cookies and/or disable them entirely in your web browser settings 銁212and the latest versions of leading browsers provide even more control over how your browser handles cookies.